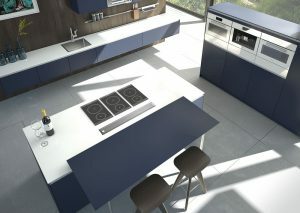 X-line is a classic among handleless kitchens and excites with stylistic confidence. At the heart of it is a gently curved, C-shaped handle profile that provides convenient access across the entire cabinet. The profile is coloured to match the drawer side or available in shining white. 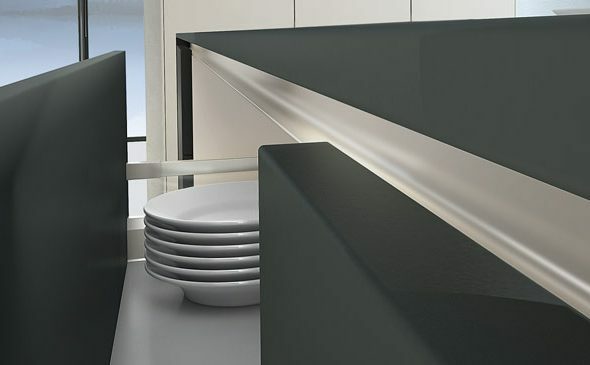 X-line lets you create interior designs with a look of space and absolute consistency.